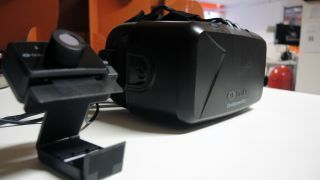 Oculus released the second generation of its development hardware in July and with the DK2 Rift headset came a new software development kit as well. Now that SDK is being upgraded from version 0.4.0 to SDK 0.4.1, and with the extra integer comes Oculus Rift support for Apple's Mac OS X operating system. This also adds versions of the Oculus Runtime and Unity Tuscany demos for Mac. No word on when Oculus Rift Linux support will arrive just yet, but this is something. The Oculus SDK 0.4.1 update also fixes a few hiccups, including making the new Rift headset more compatible with AMD CPUs and older versions of the SDK. There's also a new Unreal Engine 4 integration patch for the 0.4 versions of the SDK. Oculus continues its work despite its acquisition by Facebook, though there's still no time frame for an official consumer release. Developers too are hard at work making their own virtual reality games, but despite their progress they may still have a lot to learn.